If Frankl and others could find meaning when subjected to the most horrible conditions and torture, then damnit, I’ve got a lot to be grateful for. That’s not to say we should discount our own feelings or miserableness because others have it worse, but there are reasons for continuing. Frankl would sometimes ask his depressed patients, “Why do you not commit suicide?” Their responses (love for a child, a working talent, a positive memory) helped form the groundwork for his therapy. 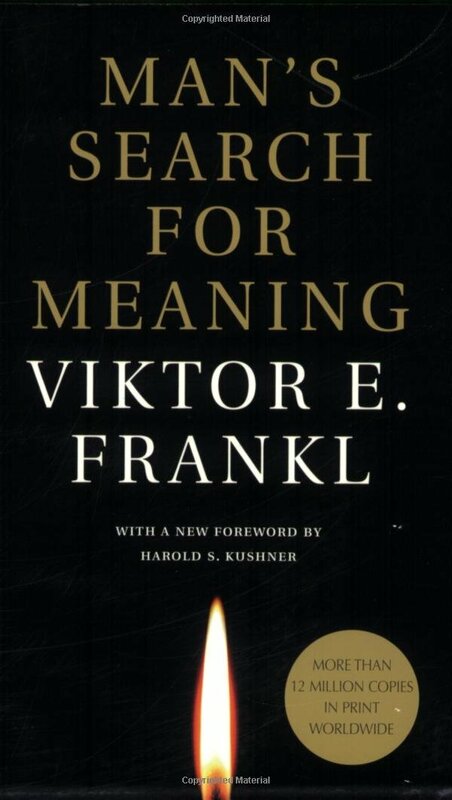 Frankl, whose mother, father, brother and wife died in concentration camps, says he survived the Holocaust partly by recalling images of his wife and also by dreaming of one day teaching the lessons he learned from his time in Auschwitz. I took away many lessons from this book. I realize that despite suffering there is fresh air, birds are singing, that reliving happy memories can alleviate present pain. I know that there is always something to live for, that Frankl found humor and culture in spite of horrifying circumstances. I realize that we are not our circumstances, but how we deal with those circumstances shape our future. Wow, sounds amazing. I often wonder if I have the kind of fighting spirit that would keep me alive in such conditions. I’ve studied the Holocaust SO much. There’s never enough learning, though. I heard of this book at a leadership training seminar a couple years back. The connection was that Viktor Frankl is an example of focusing on your circle of control, and choosing your attitude in harsh circumstances. His experience is unique, and I think that he’s a fantastic model of perseverance and positive thinking. Such a sad story, but without it we wouldn’t have his amazing testimony. This book has been on my radar, but I haven’t read it. I love his point about inner decisions. Even in the bleakest times when we feel like we have no choice, we do. We can choose our mental mindset, and decide how we will move forward from the choices that are made for us.